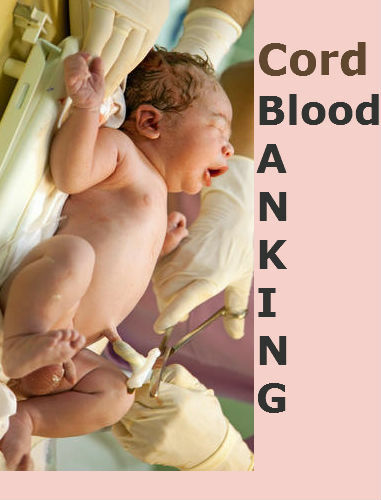 Know more about Cord Blood Banking ! Cord blood are those collections taken from the newborn baby’s umbilical cord to gather the stem cells of the baby and preserve it for future use. The future use refers the use of these stem cells to either the same child or any different person with perfect matching of the cord blood to treat any infections that are caused either to the immune or blood related disorders in the patient’s body. They are mostly preserved on the mutual understanding between the family and the blood banks. In this article, we will have a deep discussion about Cord Blood Banking. What is a Cord Blood Bank? A cord blood bank is a place where the cord blood taken from the newborn baby’s umbilical cord is stored and protected for future use. They can be accessed at any time based on the need of the patient or the family, in most cases. While in most of blood banks, there is no cost for preservation of cord blood, some banks charge a heavy sum for the procedure. So, these cord blood banks have been classified into the following types as follows. All over the globe there is not much difference on the various types of cord blood banks. While in each country, the government holds the responsibility of preserving the cord blood without any cost for long time as long as they could and are commonly called as the Public cord blood bank. There are also some blood bank organizations which are also involved in preserving the same with nothing new feature being added to it,they charge a hefty sum for the preservation and maintenance of the cord blood in their own terms and they are called as the Private Cord Blood Banks. The public cord blood banks are usually run by the government or the government approved authority where you can preserve your stem cells freely without any cost pertaining to maintenance or preservation of the cord blood. While there are so many advantages in preserving the cord blood in public banks, the only disadvantage which fears everyone is that there is no authority being provided to the owner and there are many possibilities that our cord blood may be used for someone at any instance. In case if you are in need of cord blood in future for your treatment of any disease, the cord blood which you retrieve from the blood bank may not be your cord blood and may belong to others. If you are lucky enough, you may get your own cord blood. The private cord blood banks are mostly run by private hospital owning authorities and they have a completely different procedure for preserving the cord blood which is totally in contrast to the public blood banks. In private blood banks, the main advantage of preserving the cord bloods is that only the family members of the concerned cord blood are allowed to access the cord bloods. When compared to public blood banks, they are very much high in cost since they charge money for preservation and maintenance of the cord blood in their bank and charges are usually made annually. The preserved cord bloods are usually hundred percent suitable for the patient requiring his own cord blood and hence the success rate is higher. Even though, there are several advantages over public banks, the only disadvantage identified is that the cord blood is usually discarded by the blood banks if the owner of the cord blood no longer requires the cord blood. The procedure for cord blood banking which is followed worldwide is as follows. In this phase, the cord blood is usually collected by the concerned blood bank either in person for a doorstep pickup, or you can go in person and handover the samples to the blood bank. The samples are usually collected by the non heparin bags which is usually recommended by the FDA. To detect the presence of infectious diseases in the collected blood samples. Checking to confirm that there is no occurrence of microbiological contamination. Finally, after the cord blood undergoing a series of phases is kept ready to be stored and preserved in the blood bank. These cord bloods are usually covered well with some extra protection to prevent them from getting contaminated. They are stored at a temperature of -196 degree to keep them well preserved. These devices which are usually used to preserve the cord blood have inbuilt protection to withstand against any natural calamities. They are constantly overlooked for maintaining the temperature. While most of public cord blood banks do not charge any cost for maintenance and preservation of cord blood, almost all the private cord blood banks usually have their own tariff rates and maintenance costs based on the procedure. Some may offer discount, while some do not. On an average, the estimated cost of cord blood all over the world is around $1500 to $ 2300 US dollars. Additional charges are usually levied for maintenance which is around $100 to $ 150 US dollars. In some blood banks, the preservation of cord blood tissues is also possible which nearly cost about $500 US Dollars more than your normal cord blood preservation cost. On a higher note, we advise the people to collect and preserve the cord blood in private blood banks as they provide more trust and security to your cord blood. Even though, the cost is not much affordable to many people, we can have ease of access and higher success rate in treating various diseases in the future. However if there is no further use for your cord blood on your side, please make sure to transfer those cord bloods to public blood banks, so that some deserving patient may get benefited from your cord blood.